Burly Men at Sea is a hard game to write about, mostly because anything I say will spoil some of the magic. I’m not sure how to convince you that it’s worth experiencing without ruining part of the fun of discovering it yourself. So if you’re already planning to pick up the game, maybe just do it and don’t let me ruin it for you? If you’re here because you still need convincing, read on and I’ll try my best not to spoil too much. What you’ll notice right away in Burly Men is the unique aesthetic. It’s minimalistic, but incredibly clean, sharp and stylish. 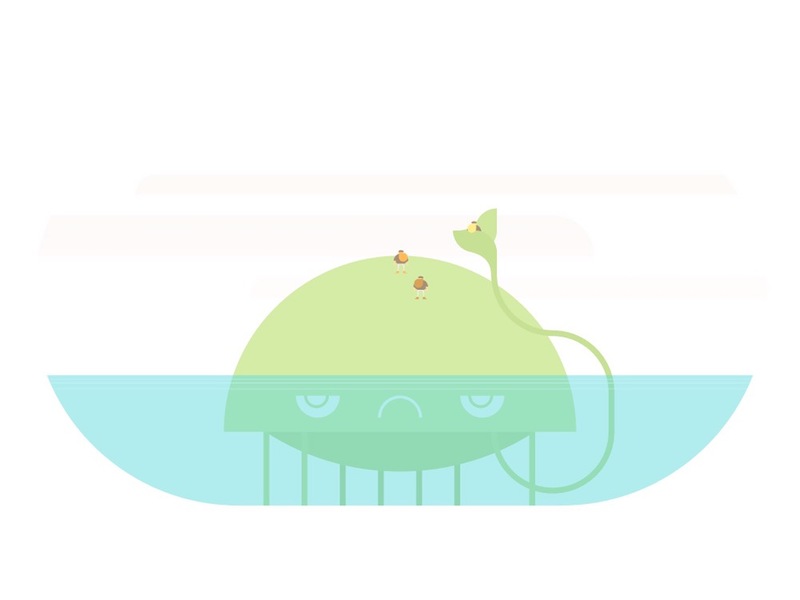 It’s not so different from Brain&Brain’s previous game, Doggins. But while Doggins is a familiar point-and-click adventure game, Burly Men is harder to categorize. It’s still an adventure game, but very simplified. It’s more of an interactive storybook, even. The same cheeky sense of humor can be seen in both, though, and that was a huge draw for me. 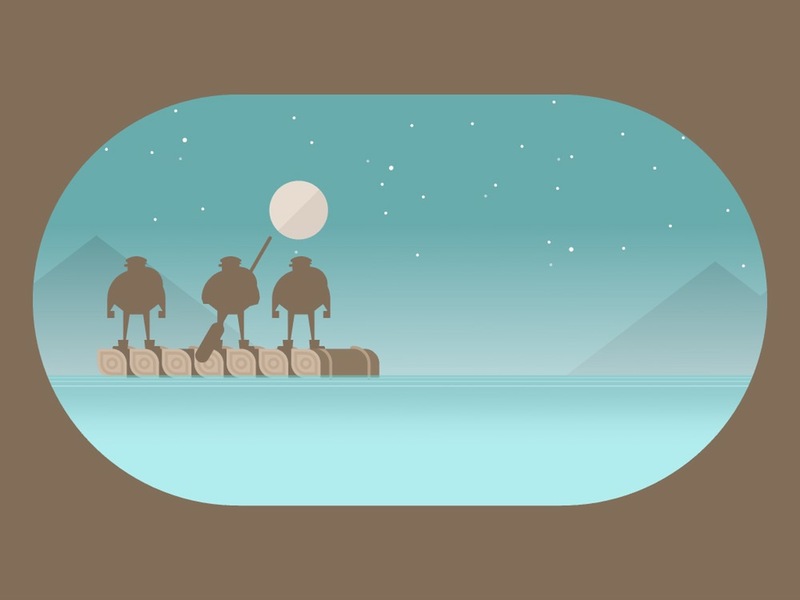 The game follows three fishermen, the Beard brothers, as they find a mysterious map in a bottle and decide to go on a seafaring adventure. The brothers are named Steady, Hasty and Brave Beard, immediately setting the light, somewhat silly tone of the game. As you might imagine, their names reflect their personalities. They also have magnificent beards. It has all the trimmings of a children’s storybook, but there’s enough here to entertain adults as well. While the game is available on iOS, Android and PC, I can’t imagine playing it on anything but a touch screen. It’s a very tactile game, and a tablet feels like the best fit for it. You use a finger to stretch open a window and the brothers move in that direction. It’s a wonderful way to control them and makes it feel intended for a touch screen. That said, there are some things that could have been better designed in the transition to touch controls. For instance, there are certain points in the game where you pull things apart or separate two pieces. My initial instinct — even after several voyages — was always to use two fingers to do this. But there are no multitouch options in the game; you always use only one finger. While that might make sense on a PC, it made the touch screen version feel a little off at times. There’s no iCloud sync, so you’ll have to choose one device and stick to it. I played through the game on both my iPad and iPhone, and both are perfectly suitable to the experience, since everything is crisp and clean. 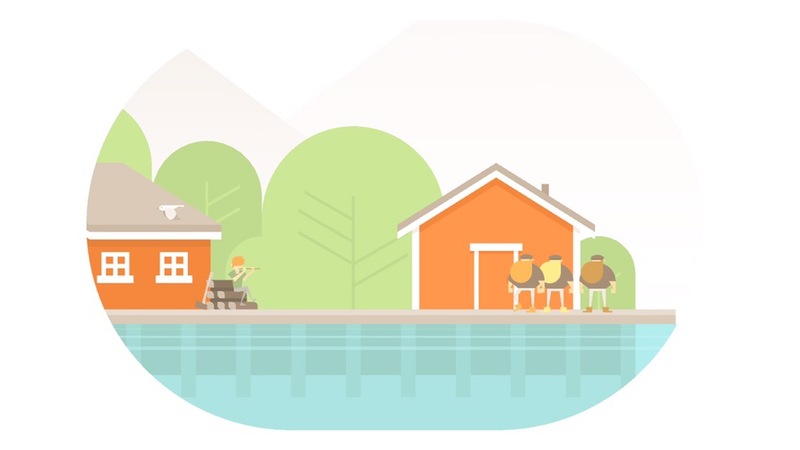 I never found myself squinting at my iPhone, but big is always better with these relaxing adventure games, so choose a tablet if you have one. 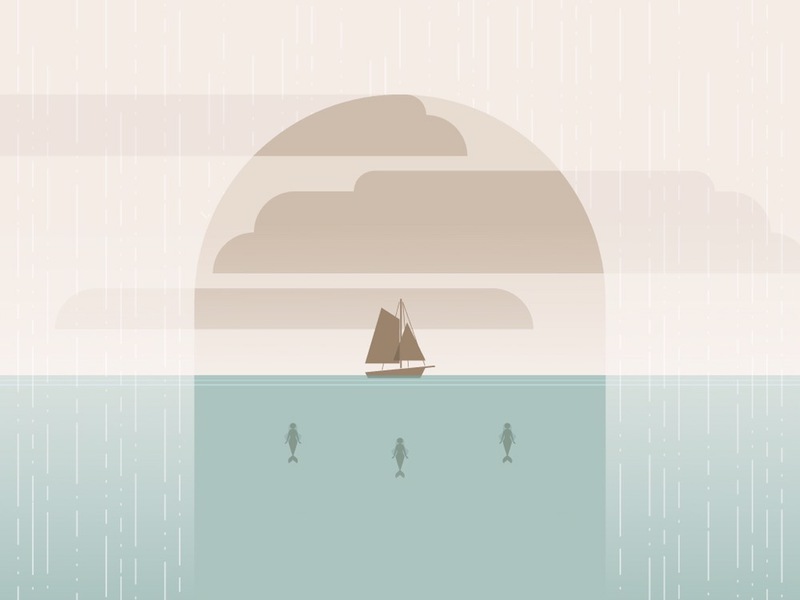 What makes Burly Men at Sea so different is its structure. 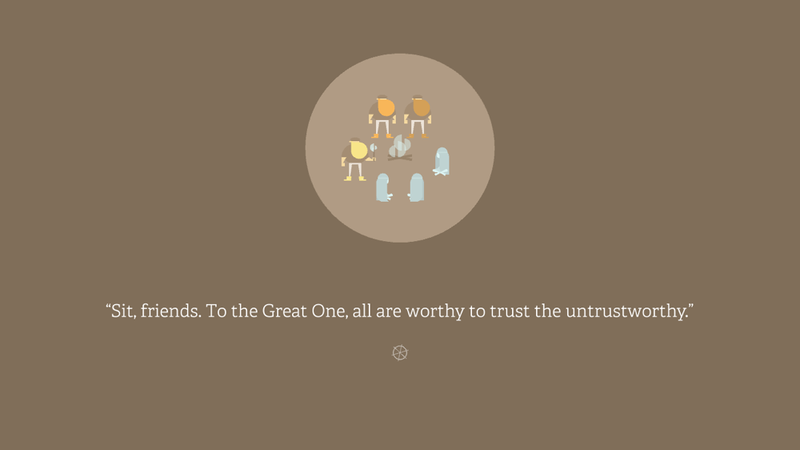 It may take a bit of time to realize it, but the whole game consists of branching storylines. Each day starts off the same, with several options. Depending on what you choose, that will lead to a couple more options. This is where the the game becomes a game, offering limited interactivity that changes your path depending on what you do. Some actions are more obvious than others, and I really enjoyed figuring out the more cryptic ones. This is where the puzzle aspect came in and what kept me interested until I found every possible ending. That, and the fact that each character they meet is full of personality. On their journeys, they encounter all sorts of familiar mythical beings, such as a Kraken and Charon, the ferryman of Hades. But even though we’ve seen them before, they’re fresh and full of surprises. Once I started realizing what was up, I immediately thought of The Stanley Parable, one of the few PC games I bought this year and actually played through. It’s one of my most memorable gaming experiences, one that I enjoyed from the first second to the last. In it, you have multiple paths you can take, and when you reach the end, you start over and try to find a different path. While not of the same scope or scale of The Stanley Parable, Burly Men is similar in structure. Each journey will only take about ten minutes, but the game remembers the choices you make and the dialogue changes accordingly. So the brothers will have something new to say upon meeting the same creature for the second time. This keeps it interesting while revisiting areas. That said, not all is perfect in paradise. Some parts you see on every voyage don’t change at all. About halfway through all the different voyages, it started feeling repetitive, mostly because of the endings. More variety in the endings would have kept me eager from start to finish. But without a way to speed up or skip an ending I’ve seen multiple times, the charm started to fade a bit. In the end, I was glad I stuck with it because my last voyage was, in my opinion, the best one. However, I was a bit disappointed that my efforts didn’t have a better payoff. I was hoping for some grand finale as a reward for completing everything, but all I got was a small confirmation that I indeed completed it all. It felt a bit anticlimactic for what was otherwise a pretty epic adventure. I also encountered some minor bugs (don’t use the “Back to Village” option at the moment), but nothing game-breaking. 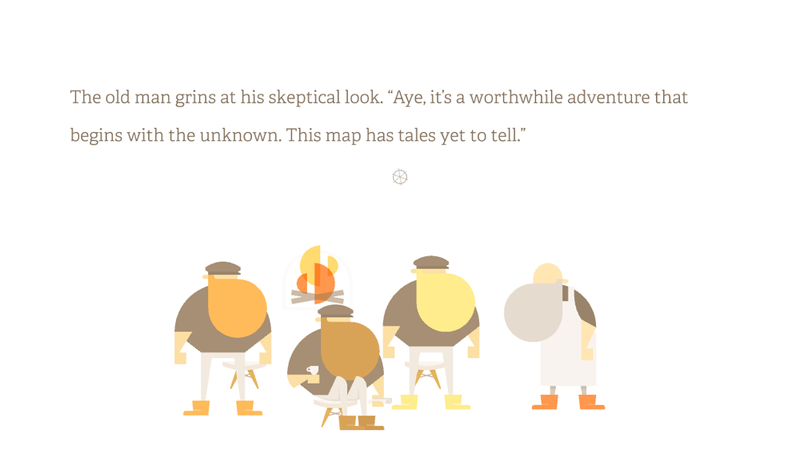 Burly Men at Sea is a special game that begs to be experienced, even if it’s not perfect. As long as you have the patience to sit through the repetitive bits and you don’t need your games to have a ton of action or demanding puzzles, there should be plenty here for you to enjoy. It’s just so damn playful and charming, it would be a shame to miss out on it just because it’s not everything it could have been. And if you’re a parent, it’s an absolute must-have for kids. If you’re looking for a unique, quirky experience, grab Burly Men at Sea here and embark on a journey unlike any other. And if you’re already playing and need help, make sure to check out my walkthrough guide.